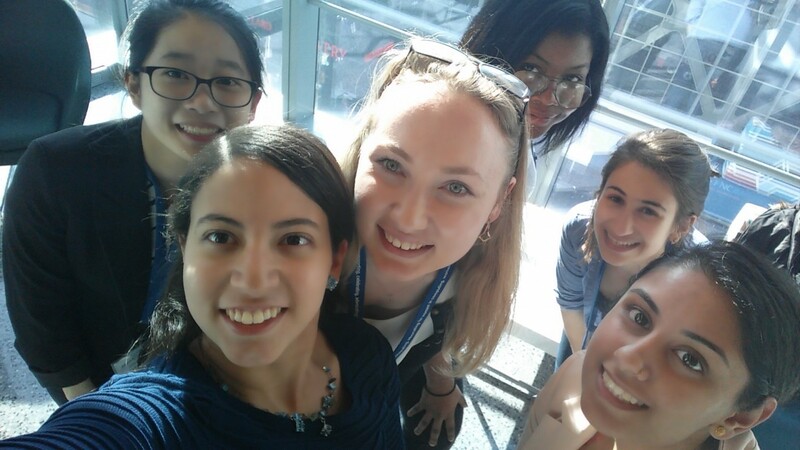 The first annual New York City Conference for Women Computer Science Students took place at the Microsoft Headquarters in New York City on April 1, 2016. The Seidenberg School, a strong supporter of Women in Technology (WIT@Pace) was represented at this historic event by computer science undergraduates Karishma Saini (BS/CS’18) and Rohana Sosa (BS/CS’19). I enjoyed the event because it was a great learning experience for me. I learned more the importance of computer science and technology in today’s world. I also received numerous tips and advice for my future career. We were encouraged to combine out interests with computer science and technology. Overall, it was a comfortable atmosphere to be surrounded by other women who had the same dreams of pursuing a career in computer science/technology the same way I do. 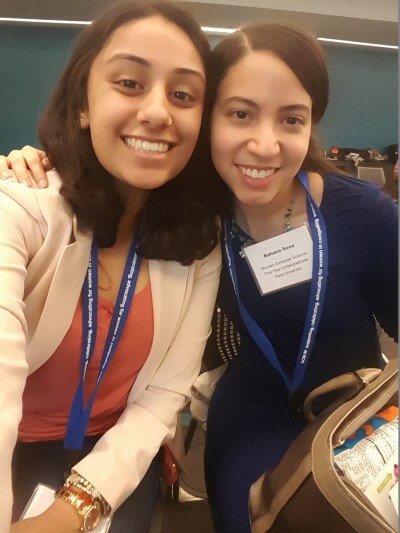 The all-day conference organized by the NY Technology Council was focused on building community and career support for undergraduate women studying computer science and related fields. The event, co-sponsored by Microsoft and Google, featured keynote presentations from leading computer science experts in industry and academia; panel discussions on topics pertaining to entrepreneurship, career development, and networking; and networking opportunities for students to connect with industry leaders. The most enriching part of visiting Microsoft was listening to the inspiring experiences of the keynote speakers as well as of the other CS students. All sessions served as useful resources for expanding my knowledge and CS network. I loved becoming friends with six CS​ students and introducing myself to the CEO of the startup called Stowaway Cosmetics!